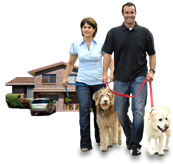 Our house sitting website provides an easy and economical way for home and pet owners to find house sitters. 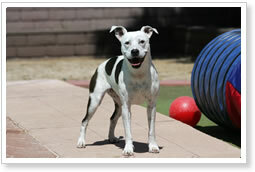 A big concern for many people is how to ensure their homes and pets are well cared for when they need to be away. House sitting is the solution. It provides the means for home owners to find and contact available house sitters as well as an opportunity for sitters to find house sitting jobs. These days many people are turning to house sitting as a smart way to visit different parts of the country for very little cost while home owners are enjoying worry free vacations comfortable in the knowledge that their homes are secure and their pets are happy. Follow this link for more house sitting information. You need to leave your home for a period of time – it could be a vacation, business trip or a family matter. The important thing is that you do not want to be worrying about the security of your home and possessions and if you have pets, you need to feel confident they are safe and well cared for. House sitting provides the perfect cost effective solution and engaging a House Sitter will make sure your home is secure and pets are taken care of. House Sitters generally do not charge for their services – they are happy to house sit in exchange for a great place to stay without the burden of accommodation costs. House sitters will not only look after your home and belongings but will also take care of all the other tasks that you would normally undertake; keeping the property clean and tidy, tending to plants, mowing the lawns and collecting and forwarding mail each day. House sitters are favored by Insurance companies because Insurers do not like homes left unoccupied for weeks at a time. By using a house sitter your home looks lived in and deters unwanted intruders. 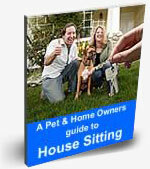 House sitters can also be pet sitters and we find that many house sitting positions include pet sitting. Just because you have to leave home, there is no reason for your pets to leave home too! Don’t take them to the local Kennel where they might feel abandoned and lonely, keep them safe and comfortable in their own home with their very own live in pet sitters. Many house sitters own their own properties and being home owners themselves, they understand how important it is to have reliable trusted house sitters. Many friendships are formed and owners engage the same house sitter time and time again. Having peace of Mind with reliable trusted house sitters gives you the opportunity to enjoy your time away from home, no matter what the reason. House sitters are pet and home lovers who take pride in providing a first class service whether pet sitting, house sitting or both, as is often the case. House sitting is so much more than providing security for your home and company for your pets. You will find your house sitter will truly ‘step in’ when you ‘step out’ and take over the many chores and responsibilities associated with being a home and pet owner. There are many benefits to employing a house sitter when you need to be away. Your house sitter is carefully selected and is working for you in exchange for an opportunity to live in a great place. They want to provide the best service they can because that way, when you need a pet sitter or house sitter in the future, you will immediately think of the positive experience you had and contact them again. Your pets do not have to leave home because you do! They will thank you for choosing the pet sitting option – check out Ollie’s thoughts! When you return to your home your pets will be relaxed, healthy and happy - having had minimum disruption to their much loved routines. It can be very traumatic and lonely to be left in a Kennel not to mention the additional problems of kennel cough, fleas and fights with other animals. Many insurance companies prefer a home to be occupied. A house sitter will provide security and show that someone is living in the home, that alone will be enough to deter most thieves. Consider all the chores that you perform on a daily or weekly basis? 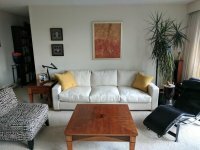 A house sitter will endeavor to see that all your requirements are met as specified in your Agreement. Maintaining contact. Today, with Skype and other such programs it is very easy to stay in touch with house sitters. They will keep you up to date on your pets progress and send you pictures of what they have been up to and even where they took them for a walk! Most house sitters welcome an opportunity to catch up and ask any questions they might have in relation to your home or pets. It’s an opportunity to travel without the expense of the cost of accommodation. By house sitting people can stretch their travel budget further so they can see and do much more than they could normally afford. A chance to stay in great homes and exciting new locations. Comfortable, spacious accommodation amongst the local population instead of cramped hotel rooms provides the opportunity to see and experience what regular tourists might miss out on. For many house sitters it is also an opportunity to be pet sitters and spend time with animals, which many people miss if they are not in a position to have pets of their own. Save money by preparing meals in a fully equipped kitchen and dining at home. It's another money saving benefit that can help extend that all important travel budget for house sitters. Save on rental accommodation. Find the right house sitting opportunities and you can say goodbye to rental accommodation costs. A place to stay while ‘in between’ homes or property purchases. House sitting is the ideal solution when temporary accommodation is required. It's also an opportunity to spend time in a location and get to know the area before making a decision to move in more permanently.